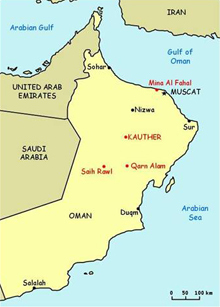 The Kauther Gas Plant is located 300 km from Muscat and 100 km south of Nizwa, the old capital of Oman. The Kauther plant is designed to process 20 million cubic meters of wet gas per day. Petrofac of Sharjah, UAE was appointed as EPC contractor for the project, which faced considerable challenges, the most significant being the demanding schedule. The barren desert in a totally remote location was transformed into a fully operational gas plant in 115 weeks. This was the first control/safety system project which Yokogawa executed with Petrofac as EPC contractor. The project was won by the Yokogawa Middle East Sales Division based in UAE and Bahrain. It was executed by Yokogawa Engineering Middle East FZE based in the Jebel Ali Free Zone, Dubai, UAE. -The plant became operational in October 2007, two months ahead of schedule. -The EPC Contractor, PDO Project Team, and Yokogawa Engineering Facility were all UAE based for the duration of the project, resulting in a "one team" approach, in one location, with common goals. -The plant was designed to be unmanned, except for some first-line maintenance personnel who are stationed at the plant. -Through the use of the latest control system and FOUNDATION™ fieldbus technology supplied by Yokogawa, process control and the diagnostic monitoring of field instrumentation is done from remote locations. For Yokogawa, the project scope included supply of the DCS (CENTUM CS 3000, FOUNDATION fieldbus based), IPS (Instrumented Protection System), FGS (ProSafe-RS), field instruments for the gas plant and wellhead sites, dynamic process simulator, training system, alarm management system, and large plasma screens. At the wellheads, Yokogawa supplied remote nodes connected to an FCS through fiber optic cables, using Hirschmann's Hyper-Ring technology. This helped PDO reduce the number of fibers without compromising network availability. Housings built from stainless steel IP66 panels were supplied for the remote nodes and networking accessories at the remote wellheads. 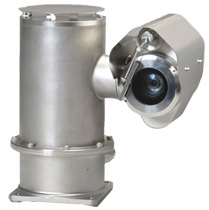 This plant is unique in that it is unmanned and remotely operated. Only a limited number of maintenance personnel stay on site. 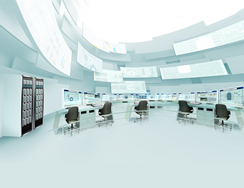 Yokogawa supplied its Server for Remote Operation and Monitoring software, which has five clients connected over the PDO WAN at the Saih Rawl, Qarn Alam, and Mina Al Fahal control rooms. To enable remote plant startup, specialized start up sequences were developed that integrate the DCS and IPS with the highly user-friendly HMI. A control desk console with a modern "minimalist" design was custom made to PDO's requirements. The console has a marmoleum work surface and solid oak buffering to protect the front, side, and rear edges. PDO selected FOUNDATION fieldbus instrumentation for the gas plant and the wellheads. At the plant, there are about 300 such devices connected in 46 segments. At each wellhead there are 10 devices in 2 segments. The complex calculation of the wet gas algorithm is done by the FCS for each wellhead. Other salient features include customized pump logic, integration of CCTV and access control in the DCS, and alarm management. At the start of the project, the IPS and FGS systems were to be based on the ProSafe PLC, but later this was changed to a ProSafe-RS system. 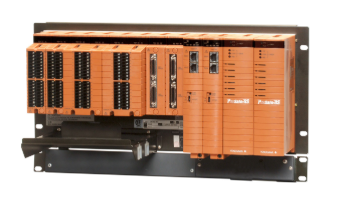 This was one of the first ProSafe-RS systems to be commissioned by Yokogawa in the Middle East. "Petroleum Development Oman announces that its Kauther Gas Plant began operating at the end of October, a full two months ahead of schedule. The plant, located in northern Oman, is now delivering in excess of 4 million cubic meters of natural gas a day to the Government Gas System as well as over 25,000 barrels of condensate (a liquid hydrocarbon by-product of gas processing that commands a premium price)." Ammar Ishaq, Project Manager for Petrofac, stated: "Excellent support during the pre-commissioning and commissioning of the project, including start-up and troubleshooting. The site team performance was great in all aspects." Petroleum Development Oman (PDO) is the major exploration and production company in the Sultanate of Oman. It accounts for more than 80% of the country's crude-oil production and nearly all of its natural-gas supply. The Company is owned by the Government of Oman (which has a 60% interest), the Shell Group (which has a 34% interest), Total (which has a 4% interest) and Partex (which has a 2% interest). Gas fields are operated by PDO exclusively on behalf of the Omani Government. Through its Engineering & Construction, Operations Services, and Energy Development divisions, Petrofac designs and builds oil & gas facilities, operates or manages facilities, and trains personnel worldwide. A major center for Engineering & Construction in the Oil & Gas field is based at Sharjah in the UAE.